The group stages of this year’s Hearthstone World Championship are underway, and as expected the Secret Paladin deck is one of the most popular decks being picked by the pros. The nerf to Warsong Commander 10 days ago has drastically diminished the power of the previously dominant Grim Patron Warrior deck, (though, surprisingly, not killed the archetype completely), and the resulting power vacuum has been filled by Secret Paladin. One player left unimpressed by the change is current world champion James “Firebat” Kostesich. In the video embedded above from his YouTube channel, Firebat bemoans the fact that Blizzard’s design team’s apparent focus on trading battles between creatures as the ideal way to play Hearthstone is leading to a duller game in which combo decks with big ‘finishers’ are strangled by nerfs. “That’s the way to win Hearthstone, you just play the best stat-for-stat minion on curve,” he says. Firebat on stage at last year's BlizzCon, where he became Hearthstone world champion. He joined Amaz's Team Archon just before the tournament, and has remained one of the most consistently successful pros in the game since. Whilst it might sound like salt from a man who’s just seen a deck he was very good at get nerfed, Firebat is one of the most interesting thinkers in the game, and goes on to explain the issue eloquently. He notes that Secret Paladin is actually just a collection of the highest value minions available at their respective Mana costs—Zombie Chow for 1, Shielded Minibot for 2, Muster for Battle for 3... and so on, all the way up to Dr. Boom at 7 and Tirion Fordring at 8. We’ll see whether he’s proved right about the current power of Paladin over the course of the rest of the World Championships, but it’s worth noting that post-Patron there has also been an upsurge in the amount of Midrange Paladin being played. There’s no doubt, though, that Hearthstone’s designers do regard minion combat as one of the core things that makes Hearthstone fun. This quote, which accompanied the nerf made to the game’s most notorious finisher card, Leeroy Jenkins, makes that clear: “Fighting for board control and battles between minions make an overall game of Hearthstone more fun and compelling, but taking 20+ damage in one turn is not particularly fun or interactive.” When explaining the recent Warsong Commander nerf, the reasoning was essentially the same: "...stand by our overarching game philosophy that battles between minions and fighting for board control is what makes Hearthstone fun and compelling." Frankly, there’s nothing wrong with the idea that creatures smashing into each other is fun, and dying to enormous damage from hand isn't. (Well, for one person involved.) But what Firebat is suggesting is that the game has become too skewed towards one style of play, and here I think he has a point. Look at a few of the other top tier decks right now: Dragon Priest and the aggro and midrange Druid variants. They all essentially rely on playing high value creatures on curve (though Druid does also include a finishing combo, which interestingly is high on a lot of people’s lists of things they want nerfed next). Hat tip to Callum Leslie at Daily Dot for pointing out Firebat’s video earlier today. 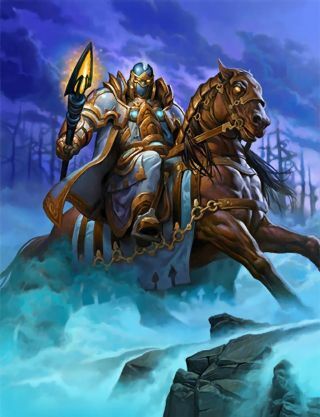 For another take on why the Warsong Commander nerf actually wasn’t healthy for Hearthstone, check out this article from our resident expert Simon “Sottle” Welch.